Perfect as a gift for the avid golfer in your life or for yourself, our Patriot Mark Golf Ball Marker helps you shave strokes off your game by marking your ball on the green. 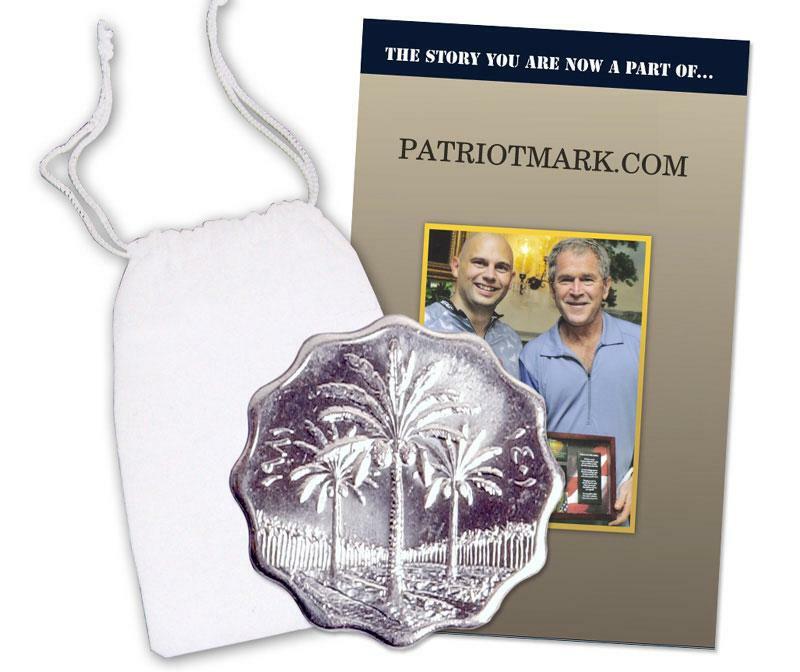 Featuring a liberated Iraqi coin, our Patriot Mark Golf Ball Marker comes in a pouch along with a copy of our Products for Good story and certificate of authenticity. Honor friends or loved ones for their service with our Single-Coin Patriotic Shadowbox featuring a liberated Iraqi coin assembled in the US by disabled workers. Your gift comes with a copy of our Products for Good story and certificate of authenticity.